What was it like to live through an extraordinary time? The 1740s and 1750s proved to be an extraordinary time for many ordinary New Englanders. It was a period when itinerant preachers swept through the region and asked its people to question the fundamental assumptions of their religion: What did it mean to be a Puritan? What did it mean to be a Protestant Christian? Douglas Winiarski, a Professor of American Studies and Religious Studies at the University of Richmond and the author of the Bancroft prize-winning book, Darkness Falls on the Land of Light: Experiencing Religious Awakenings in Eighteenth-Century New England, helps us explore the religious landscape of New England during the 18th century and how New Englanders answered these powerful questions during the extraordinary period known as the Great Awakening. Douglas Winiarski, a Professor of American Studies and Religious Studies at the University of Richmond and the author of the Bancroft prize-winning book, Darkness Falls on the Land of Light: Experiencing Religious Awakenings in Eighteenth-Century New England, helps us explore the religious landscape of New England during the 18th century and how New Englanders grappled with powerful questions about their spiritual lives during the extraordinary period known as the Great Awakening. 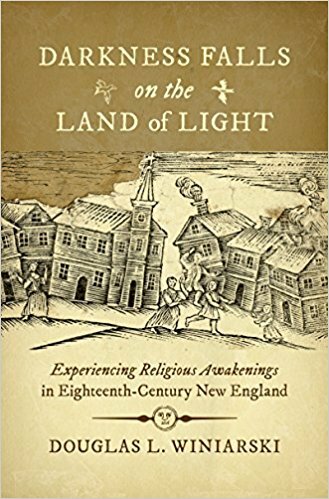 As we investigate the Great Awakening in New England, Doug reveals information about the Puritan faith in New England during the 1630s and 1640s; Details about the Great Awakening; And, how the events and ideas of the Great Awakening altered the religious landscape of New England and gave brith to American evangelicalism. 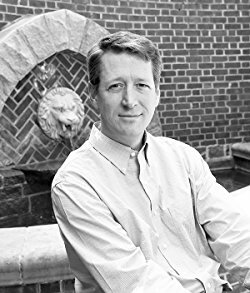 In your opinion, what might have happened to the course of American religious history if the religious revivals that took place during the 1740s had instead taken place during the 1680s or perhaps the 1780s?